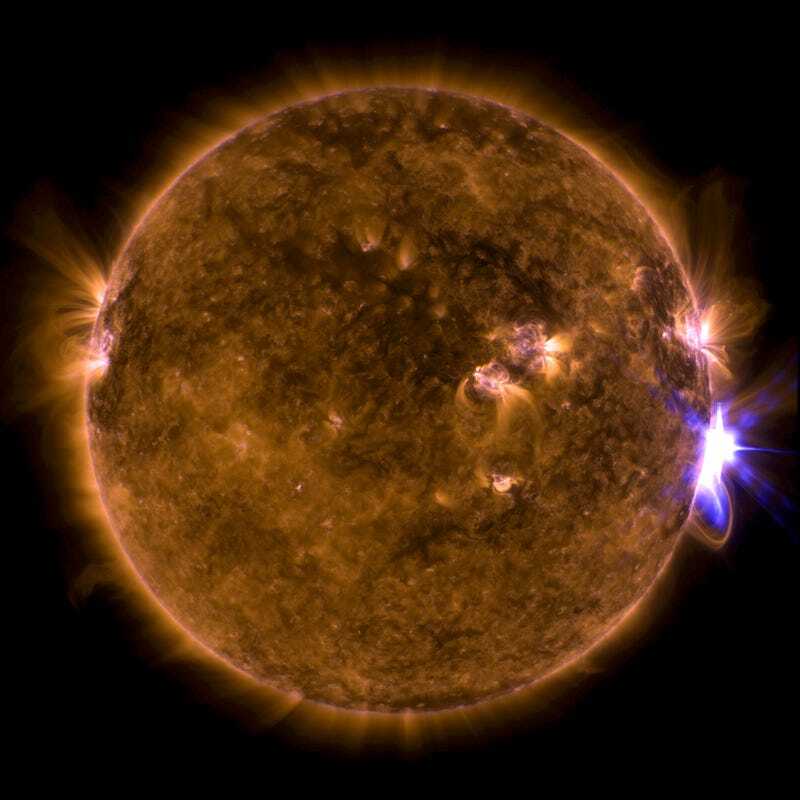 On Sunday September 10, 2017,NASA’s Solar Dynamics Observatory recorded an X8.2 class flare. Class X flares are the most intense flares, and the number attached to it denotes its strength, where X2 is twice as intense as X1, and X3 is three times as intense, and so on. M-class flares are a tenth the size of X-class flares and C-class flares are the weakest of the bunch. Both X- and M-class flares can cause brief radio blackouts on Earth, and other mild technological disruptions. Unless it’s part of an unusually strong solar storm—the kind that happens about once every one hundred years—in which case that would be very bad. October 3, 2017 October 3, 2017 mannaismayaadventureWhy Has Our Sun Been Freaking Out So Much Lately?